Results: Whether capturing xenon for security or industrial uses, a new material could be a valuable ally, according to scientists at Pacific Northwest National Laboratory. Classified as a metal-organic framework or MOF, the material known as NiDOBDC has a honeycomb-esque framework and a lot of potential. Dr. Jay Grate and Dr. Praveen Thallapally compared NiDOBDC to a two other absorbents. One was a metal organic framework called MOF-5 and the other was activated charcoal. The nickel-based NiDOBDC did substantially better at capturing xenon than MOF-5, and about the same as the activated charcoal. However, NiDOBDC released xenon easily, a bonus for technological recovery systems and monitoring devices. 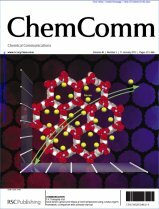 "The promise of NiDOBDC and similar metal-organic frameworks is that we will be able to make faster and more sensitive separation and monitoring equipment," said Grate, who has been working in materials and systems for sensing and nonproliferation applications for his entire career at PNNL. Why It Matters: Absorbents, like activated charcoal and MOFs, can selectively capture xenon and release it on demand. Making these absorbents more efficient could benefit sustainable processes and national security. Commercial uses of xenon include lighting, scientific instruments, and anesthesia. Security uses focus on nuclear processes. Nuclear reprocessing, weapons tests, and nuclear accidents, such as the 2011 catastrophe in Japan, release xenon radioisotopes into the atmosphere. Around the world, monitors track xenon for the Comprehensive Test Ban Treaty. Methods: The research team compared the performance of three materials that capture xenon. Conventional technologies for capturing xenon use activated charcoal, which is fine black carbon powder processed to be porous, with an effective surface area of 500 square meters a gram. Charcoal also absorbs xenon from air samples and releases it on demand. "Activated charcoal is a really old-fashioned material with little potential for improvement," said Grate. "We wanted to see if we could find a material that we could push, that we could get new capabilities from." Metal-organic frameworks or MOFs were an obvious starting point. NiDOBDC, MOF-5, and other members of this new class of framework-based sorbents are extremely porous. The frameworks can achieve surface areas ~10 times greater than activated charcoal. Further, the modular nature of the MOF synthesis method and their internal chemistry lets scientists build materials with a range of structures and properties. "Interest in MOFs has exploded in the past decade," said Thallapally, who is also conducting research for DOE's Office of Nuclear Energy using these same materials. At PNNL, Thallapally was working with MOFs for carbon sequestration, but saw more potential for the materials. He met with Grate to discuss MOF possibilities for security applications. They believed PNNL had the right capabilities to synthesize and characterize the necessary materials. 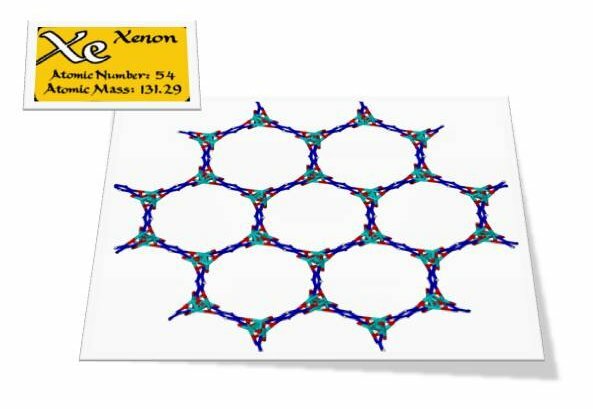 They applied for and received PNNL funding to examine how well MOFs worked in xenon capture. Previously, some MOFs proved disappointing. The materials worked well in the lab, but their framework structures were unstable under environmental conditions as vapors were sorbed and desorbed. Working in PNNL's Sigma 5, the researchers tested three different xenon absorbers: NiDOBDC, activated charcoal, and a prototypical MOF, known as MOF-5. They found NiDOBDC takes up xenon about as well as activated charcoal and significantly better than MOF-5. NiDOBDC is superior at lower pressures. At 1 bar, the pressure at sea level, NiDOBDC was able to take up significant amounts of xenon and release all of it when the conditions were right. They also found that NiDOBDC was more selective than charcoal for xenon over krypton, which is fairly similar to xenon. What's Next? Thallapally and Grate are continuing to investigate MOFs, including NiDOBDC. Their work will include studies on scaling the materials to study their performance in real gas streams. "While there isn't much you can do to improve charcoal, there is a world of potential in MOFs," said Thallapally. "The defined nanostructured framework gives you a lot of opportunities synthetically to add more functionality." Xenon is an odorless, colorless, and dense gas. Xenon is very rare, making up only 0.0000087% of the atmosphere. Xenon's name originates from the Greek word "xenos" for stranger. Xenon ions were used as a fuel in the Deep Space 1 probe, which provided the best images ever from a comet, according to NASA.